Claude Lanzmann, 'Shoah' Filmmaker And Seeker Of Truths Without Name, Dies At 92 The French documentarian died Thursday in Paris. He leaves behind his monumental 1985 film on the Holocaust, which bears a Hebrew name as elusive of definitions as the historical truths he sought. 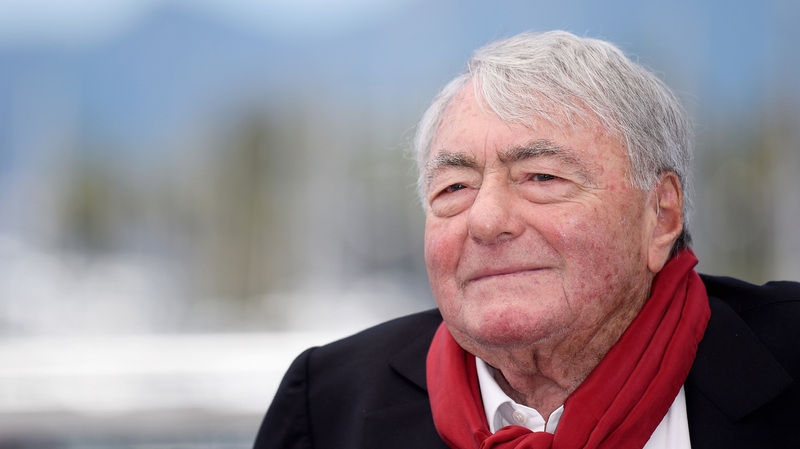 Claude Lanzmann, seen last year at the Cannes Film Festival in France. Shoah, a Hebrew word, eludes easy definition. It has bedeviled translators, who have wrestled its multitudes into grim English stand-ins such as "catastrophe" or "calamity" or "annihilation." But no single term quite manages to bear the word's weight. It was precisely this painful impossibility that drew Claude Lanzmann. The French filmmaker, who died Thursday in Paris at the age of 92, adopted shoah for the title of his opus: a 9 1/2-hour film on the Holocaust that took him 12 years to make. But as he told NPR's Robert Siegel in 2012, even this name — as elusive and complex as its meanings may be — could only approximate a horror so incomprehensibly vast as the subject of his film. "The truth is that there is no name for what happened. During the 12 years of my work, I had no name to name what I called — inside my heart, I called it 'the thing,' " Lanzmann said, finding his words through his thick French accent. "How could exist a name for something which had never existed in human history?" Born to a Jewish family in Paris, Lanzmann entered young adulthood fighting with Communist resistance forces against the Nazi occupation in World War II, forged enduring relationships with French philosophers Simone de Beauvoir and Jean-Paul Sartre, worked as an investigative journalist and served as editor on the journal Les Temps Modernes. His CV was so packed, in fact, that he was in middle age before embarking on the film career for which he is remembered best. After releasing his first major film in 1973 — known as Israel, Why? — Lanzmann settled down to work on the project that would finally be released as Shoah in 1985. But throughout his winding career, the journalist and documentarian kept returning to the innate contradiction he touched on in 2012: his restless hunt for historical truth, and his acknowledgment that this truth — in all its profundity and pain — may never be adequately spoken. That never stopped him from asking his subjects to speak it, however. 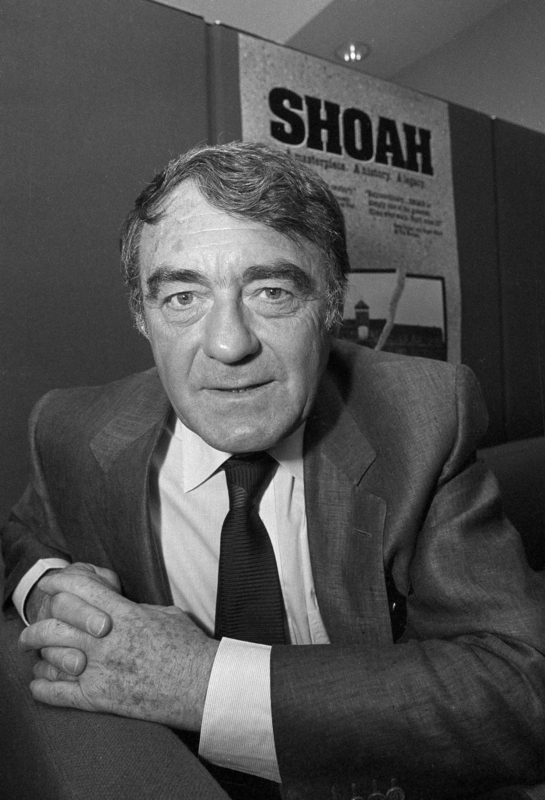 French filmmaker Claude Lanzmann posed for this portrait in Los Angeles in 1986, one year after the release of Shoah. In Shoah, he probed the memories of Holocaust survivors as well as the Nazis who carried out the atrocities, cobbling together more than 350 hours of footage. But even as he amassed this immense trove of film, even as the final work ballooned to nearly 10 hours from start to finish, Lanzmann also kept the movie spare. He dispensed with the typical tropes of history films, eschewing archival footage and voice-over narration for a story told instead in first-person accounts, stitched together with glimpses of what the scenes of terror looked like in the present day. "It is not to give information that you could find in any kind of history book. The most important is the faces of the people," Lanzmann explained to reporter Howie Movshovitz in 2011. "No one history book may give you the emotions, the strengths of human face, when the people are paying the highest price in order to revive what they went through." Among his interviewees were Abraham Bomba, a Jewish barber who had been forced to cut the hair of new female arrivals at the Treblinka death camp, preparing them to be gassed to death. Lanzmann also managed to get several Nazis to speak with him frankly about the processes behind their killings — some only after the documentarian deceived them using false names and hidden cameras. Once, when one of his subjects found him out, Lanzmann was beaten so badly he had to be hospitalized for a month. The practice also drew rebukes of a less physical kind at the time of the film's release, as Andy Lyman reported for NPR in 1985. But Lanzmann had a simple justification. "These people didn't respect the first order of any kind of moral law, which is the order of life," he told Lyman. "Why should I keep my word in front of these people?" No one history book may give you the emotions, the strengths of human face, when the people are paying the highest price in order to revive what they went through. Such criticism was largely muted, however, and it faded quickly behind the high praise the film earned from the moment of its release. Kevin Thomas of the Los Angeles Times, for one, called it "so powerful, so overwhelming an experience you never wish to stop listening or look away." Lanzmann published the oral histories of Shoah in book form the same year as the film. And continued to write his memoirs and make documentaries well into his old age, occasionally on the Holocaust but not always. The nonagenarian released a film last year depicting a romance he shared during a visit to North Korea half a century ago. Yet even as he swung from subject to subject, Lanzmann kept returning to the kinds of unanswerable questions that lurked inside an impossible word such as shoah. He told Lyman in 1985 that this pursuit of the difficult truth, contradictory as it may often be, always remained worthwhile. "The kind of big questions that everyone is asking — why, why did this happen? But there is no answer to the 'why,' " Lanzmann said then. "And I think that the only way to answer the 'why' is to go into the most extreme details of the 'how.' "